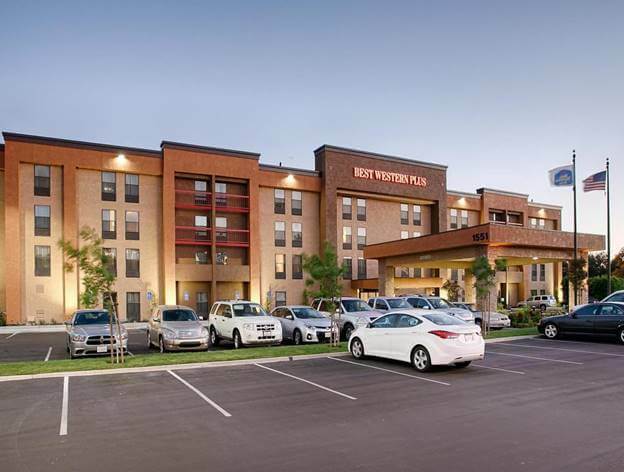 located at 5090 East Clinton, Fresno, CA 93727, USA is about 0.8 kilometers away from Fresno Yosemite International Airport. The hotel offers free airport shuttle services. The satellite TV, Wi-Fi, tea and coffee facilities, and personal bathrooms are available in each room of the hotel. Skyline Café offers various options for breakfasts, lunches, and dinners. Skyline Lounge opened from 06:00 until 22:00, provides a relaxed atmosphere and access to TV and Wi-Fi. 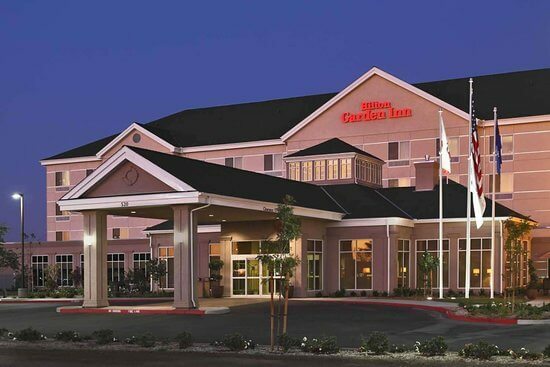 The hotel is located in a 10-minute drive from Fresno State University and in a 15-minute drive from Fresno Chaffee Zoo. The price for a one-night stay is $134.10, the fee for the breakfast that might reach around $16 is not included in the price. The amount is indicated for October-December 2018.
located at 5113 East McKinley Avenue, Fresno, CA 93727, USA is about 1.2 kilometers away from Fresno Yosemite International Airport. The hotel offers free airport shuttle services. It also provides continental breakfast served in the room each morning. The Wi-Fi and an indoor, as well as an outdoor, swimming pool, is available for those staying in the hotel. Each room has its refrigerator, tea and coffee facilities, microwave, and TV. The price for a one-night stay is $132.05, the fee for the breakfast is already included in the price. The price is indicated for October-December 2018.
located at 5115 East McKinley Avenue, Fresno, CA 93727, USA is about 1.2 kilometers away from Fresno Yosemite International Airport. The hotel offers free airport shuttle services. It is reachable in only 3 minutes from the airport. A small refrigerator, coffee and tea making machines, as well as Wi-Fi, are provided in each room of the hotel. 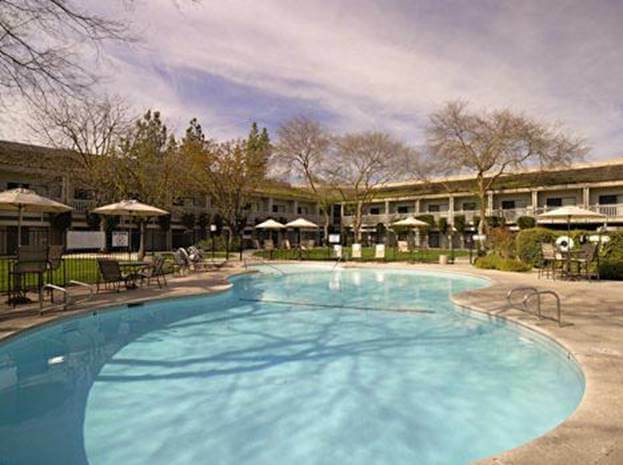 Moreover, guests of the hotel may enjoy the use of the business center, hot tub, and an outdoor pool. Airport Piccadilly Inn's Charters Café, as well as Steak & Anchor Restaurant and Captain's Cove Lounge, offer a range of dishes and drinks. The price for a one-night stay is $80. 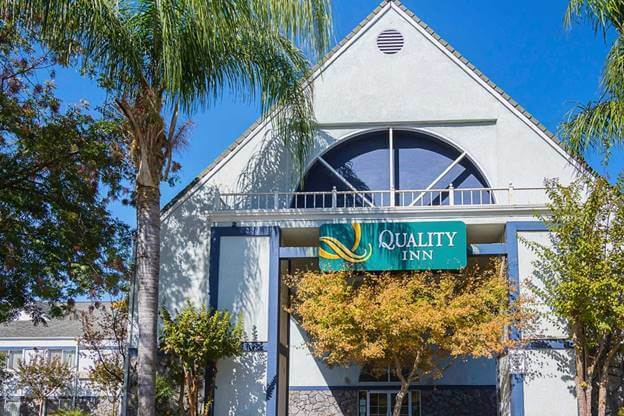 The price is indicated for October-December 2018.
located at 1551 North Peach Avenue, Fresno, CA 93727, USA is about 1.3 kilometers away from Fresno Yosemite International Airport. The hotel offers free airport shuttle services. The hotel serves daily continental breakfast in the room. Each room is equipped with the flat-screen TVs, ironing facilities, air conditioner, etc. On the territory of the hotel, there are an outdoor swimming pool and fitness center available. 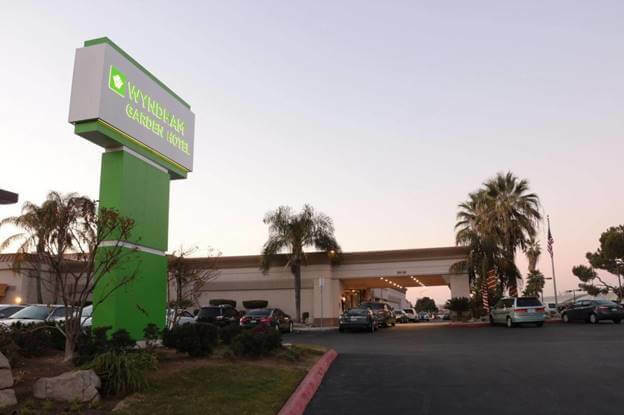 The hotel is located 9.7 kilometers away from Fresno Convention and Entertainment Center and about in a 15-minute drive from Island Waterpark. The price for a one-night stay is $154.90, with the breakfast fee already included in the price. The price is indicated for October-December 2018.
located at 520 West Shaw Avenue, Clovis, CA 93612, USA is about 8.4 kilometers away from Fresno Yosemite International Airport. The hotel offers an outdoor swimming pool, free parking area, fitness center, hot tub for those staying there. Each room is equipped with the microwave, refrigerator, coffee maker, large seating area, etc. Great American Grill and Lounge provides a range of dishes, snacks, and drinks, along with the Pavilion Pantry which is opened 24/7. The price for a one-night stay is $196.80, the fee for the breakfast that might reach around $12 is not included in the price. The price is indicated for October-December 2018.